Can you please provide as more details on the issue you are having? 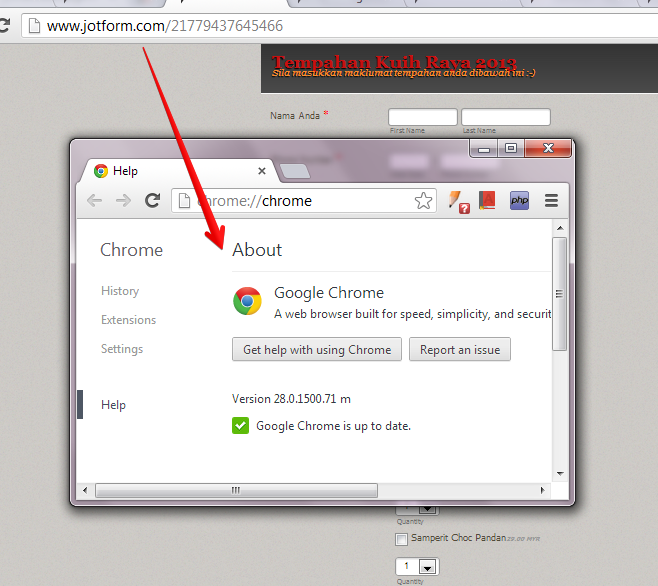 I just opened your form https://www.jotform.com/21779437645466 using Chrome browser just fine. 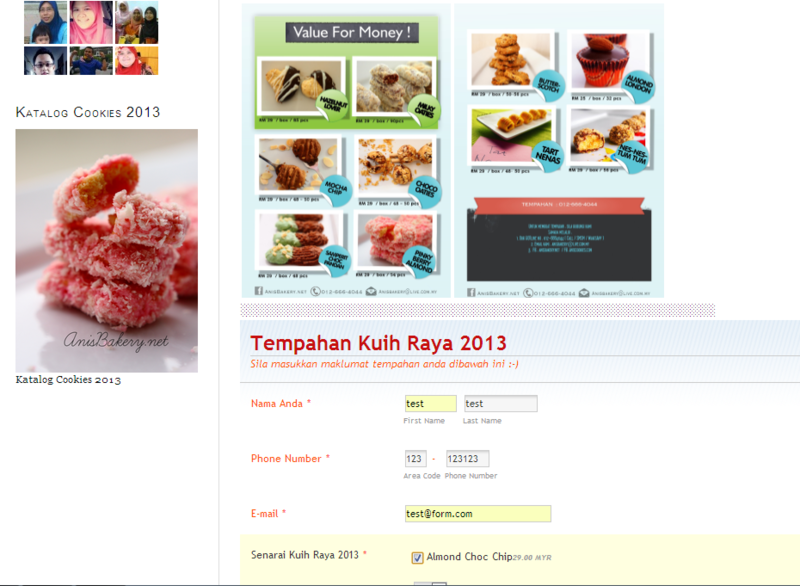 pls visit my website here : www.anisbakery.net . I have check your website where your form embedded and found out that the issue is had something to do with your slideshow. To fixed the issue add this code z-index: -1. Hi Pinoytech ... thanks for the video .. but whenever I open the website again the problem remained .. How to make the changes I make.. permanent ? Your form seems to be working fine upon checking. I have notice also that you've already remove the slideshow which causing the issue of your form. This is what I see now in your website where your form embedded.